Burrowing owls like to settle in open areas with minimal grass cover, empty burrows built by other animals more adept at digging, and perch sites. The elaborate underground networks of tunnels and chambers fashioned by prairie dogs and other burrowing mammals fit the bill nicely. Once owls move in, they often start decorating. Some might call their taste eclectic. The tiny raptors have been known to outfit their burrows with foam, rubber window insulation, cigarette butts, tin foil, spaceman toys and Barbie doll parts. Other birds festoon their nests with found objects, to attract mates and deter predators. A handful of species also use manure to line their nests. But burrowing owls have a unique penchant for scattering manure everywhere: outside their burrow, in the tunnel leading to the nest chamber and inside the chamber itself. This curious habit was first reported in 1892, and biologists still can’t say for certain why they do it. Several explanations for this profligate use of manure (often from horses and cows) have been proposed over the years. Dung might tell other owls to look for lodging elsewhere. Or maybe it throws predators off the owls’ scent. Or it could serve as bait to attract insects so young owls can hunt near the safety of the burrow. Or maybe they have an odd way of attracting mates. Courtney Conway and Matthew Smith first tested each of these possibilities more than a decade ago. They ruled out the idea that dung deters predation, because predators were just as likely to attack nests with and without manure. And it’s not likely part of an elaborate mating ritual, they concluded, since owls don’t start flinging manure until after they’ve found mates. The pair did find some evidence that dung acts as a “no vacancy” sign (owls were more likely to occupy nests without manure) and insect bait. But the evidence for burrow advertisement was inconclusive, because owls were doing most of their decorating later in the nesting cycle, not when they first move in. And owls that bring home spacemen and Barbies aren’t likely to reel in prey. 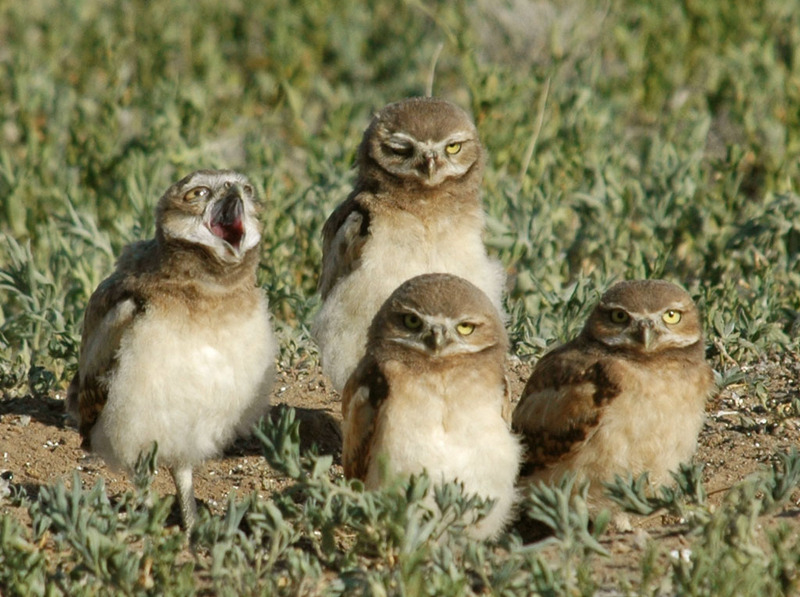 Yet the answer may help researchers figure out how burrowing owls are coping with major shifts in their environment. “To conserve a species you need to know what limits its reproductive output or survival,” Conway says. Burrowing owls likely evolved this elaborate behavior to overcome some constraint on either survival or reproductive output, he explains. If you know what it was trying to overcome, then you can figure out the biggest threats to its survival.